Arts of Glass can be seen at the National Centre of Craft and Design until 20th of January 2019. I am delighted to announce that Captured Moments will feature in a solo exhibition along with drawings, photographs and film as part of the Venice Glass Week 9 -16th September 2018, in partnership with VeniceArtFactory, Fieldwork and Ruthin Craft Centre. The exhibition will be in a central location in Campo San Stefano, at the foot of the Accademia bridge. I am very grateful to Wales Arts International for funding towards the project and to Specialist Precast Products for sponsorship. My piece Reflected Spaces is part of the Art of Glass exhibition at the National Museum of Scotland, Edinburgh. This exibition explores the work of leading glass artists in Britain today, running until the 16th of September 2018. It is presented in partnership with The National Centre for Craft & Design, where the exhibition will tour in October. I have a series of photographs included in an exhibition in Plas Glyn-y Weddw, Pwllheli, responding to the extraordinary life and work of the writer Jan Morris as she celebrates her 90th birthday. It will run from October 15th - December 24th 2016. Captured Moments will be exhibited in BayArt, Cardiff, September 10th - 24th alongside works by architects, Rhian Thomas, Dow Jones, HASSELL, Victoria Coombs and Wayne Forster in an exhibition which will explore environmental stimuli and capture transient moments. Supported by Ruthin Craft Centre in partnership with the Design Commission for Wales and BayArt. 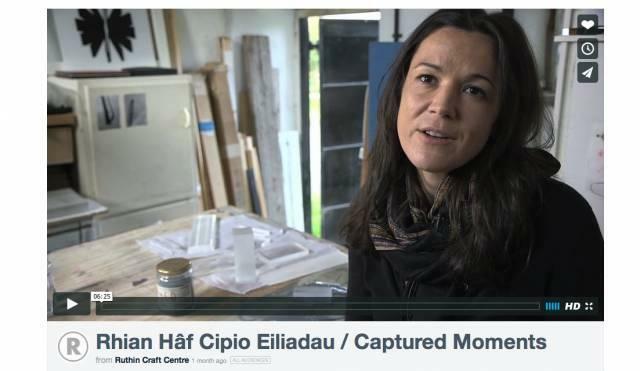 A short film, created by filmmaker Eilir Pierce, giving an insight into my work and practice has been produced to show alongside my Ruthin Craft Centre Touring Exhibition, Captured Moments. Captured Moments, alongside some new pieces will be exhibited in Gallery 2, Ruthin Craft Centre, 28 November - 4 January. The exhibition will tour to the Mission Gallery, Swansea and run from the 23 January - 13 March 2016. A new commission is installed at the waiting room area in the new Medical Centre in Llangollen, commissioned by the NHS Betsi Cadwaladr, Arts in Health. The five screen printed perspex panels were inspired by the surrounding environment of the centre. 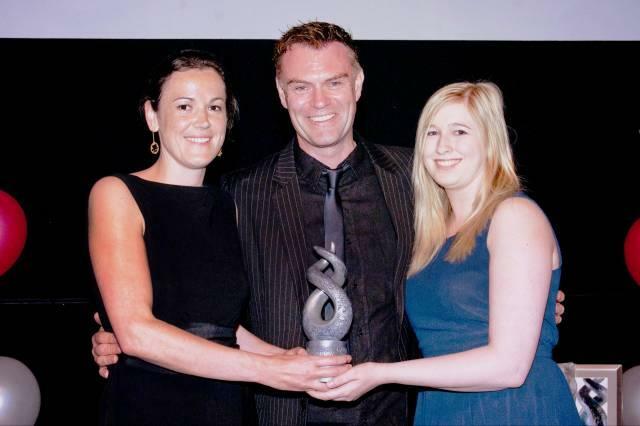 In partnership with Phoenix Optical Glass, we won the Arts, Business & Employees Award by Arts and Business Cymru! Having had the opportunity to be a resident artist with the company, the support of the business has allowed me to develop my practice and complete a new body of work. This partnership was further extended by an outreach project for children and older people in Denbighshire, providing them with the opportunity to understand and use glass in a creative way. I am delighted that a piece from the Captured Moments series has been selected for this year's publication of New Glass Review 36 by The Corning Museum of Glass . 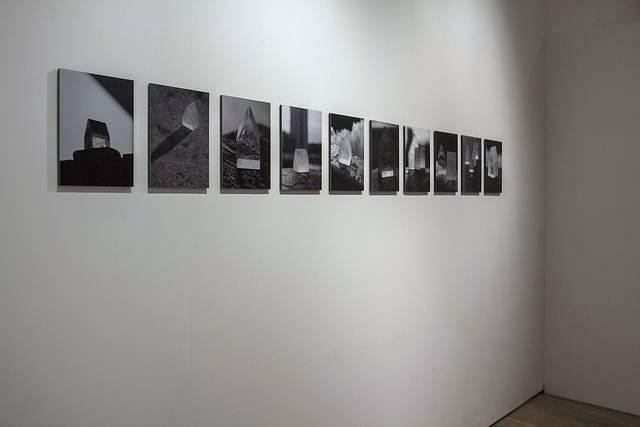 Light Perceptions, a new body of work, which is funded by the Arts Council of Wales is currently exhibited in the Long Gallery at the National Glass Centre until the 4th of October 2015. Delighted to receive funding from the Arts Council of Wales to create new pieces for an exhibition at the National Glass Centre. In partnership with Phoenix Optical Technogies Ltd, St Asaph, I have received CultureStep investment from Arts & Business Cymru to run an outreach project for children and older people in Denbighshire, providing them with the opportunity to understand and use glass in a creative way. The project will be documented on my Instagram feed. Very excited to receive a Travel Award from Wales Arts International to visit the Venice Biennale in May 2015. I will be taking part in the Making Insights Residency in Ruthin Craft Centre 16 - 17 August, Project Space A&B. I will be discussing my work and showing examples of my visual research, various glass pieces with different applied techniques, maquettes and models. I have Just started a 3 months residency in Ruthin Craft Centre's Project Space A&B as part of my Arts Council of Wales fudging award. I will be collating my research and completing the production phase. I will present a series of installations utilising glass to capture light and shadows in September. Blodau Bywyd (Flowers of Life) has been installed at the new Emergency Quadrant entrance at Glan Clwyd Hospial, Bodelwyddan, commissioned by the NHS Betsi Cadwaladr, Arts in Health. 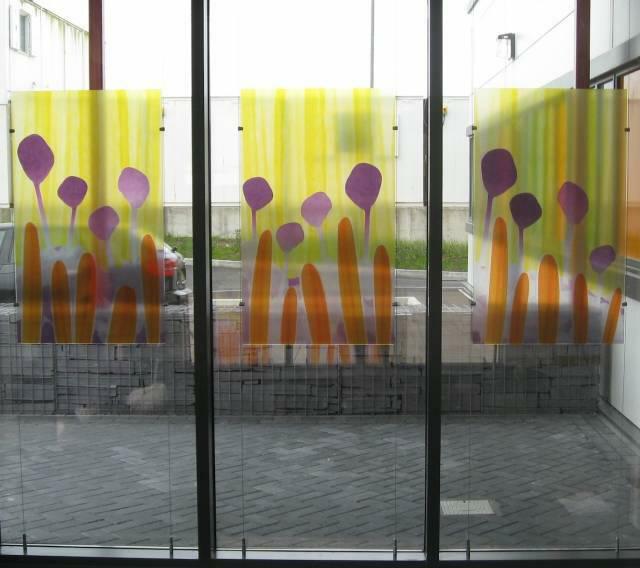 The Six screen printed perspex panels were developed from a residency at Mold Community Hospital, where images of medicinal plants, which grow in our surrounding environment were explored as a basis for creativity. In particular these designs are based on the Calendula, Water Mint, Coltsfoot and Elecampane. Glass, Light and Spce will be exhibited as part of Grow! at the Royal Botanic Garden, Edinburgh 2nd - 25 August 2013. Organised by Pop Up! Edinburgh, an organisation who brings art to unique and unexpected places within the city. 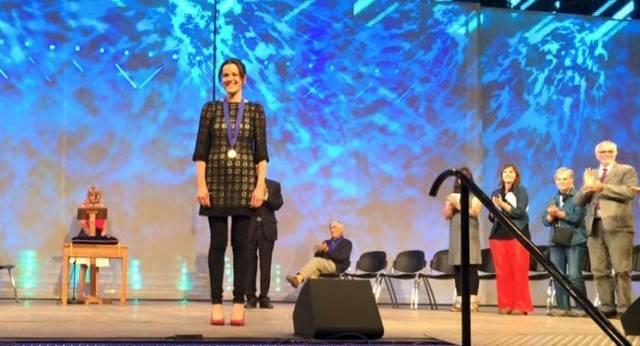 The show is about recognizing the spirit of the city during the August festival season, and uniting glass artists with a connection to Edinburgh. Sense of Place has been selected to be shown in the visual arts exhibition Y Lle Celf at the National Eisteddfod of Wales, Denbigh, 2- 10 August 2013. Very pleased that I have been awarded an individual production grant from the Arts Council of Wales, which will fund research, development and production of a new body of work. 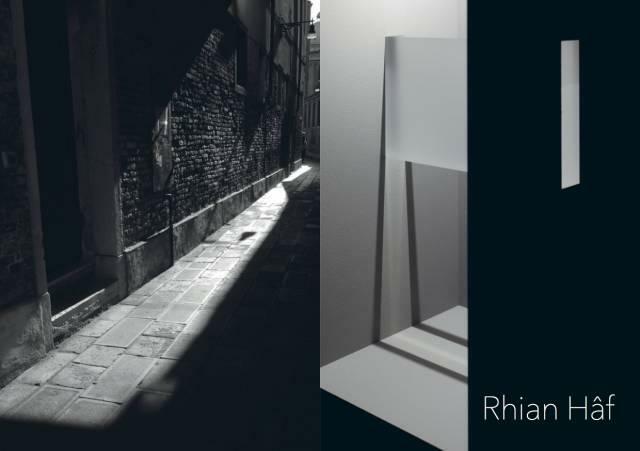 Shadow Series, Sense of Place and Glass, Light and Space, will be a part of Shadows & Light exhibition at Ruthin Craft Centre, 1 December 2012 – 6 January 2013. An exhibition of six Wales based maker’s work, leading you to study and appreciate the subtle nuances of surface quality. Working with ceramic, glass, textile, silver and stone, each maker considers light and how it can create effects and animate their work. I have just started a 10 month residency in the Glass Department, Edinburgh College of Art, where I will be developing a new body of work based on light and shadow research. 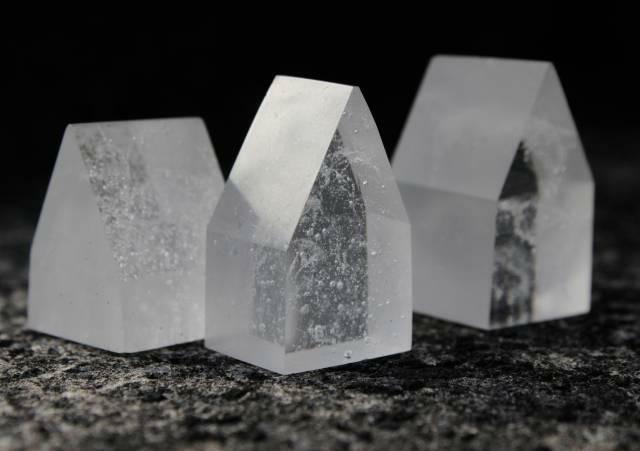 Sense of Place has been selected for the British Glass Biennale. The UK's major exhibition of contemporary glass in association the International Festival of Glass, will take place in Stourbridge, 24th August – 15th September 2012. My panel Game of Light, will be shown as part of the Glass Games exhibition at The National Waterfront Museum, Swansea, July 7 – September 17th, 2012, which is also a part of a UK wide event organised by Contemporary Glass Society. The piece is made from transparent stringers and allows the viewer to catch a glimpse of moving light. 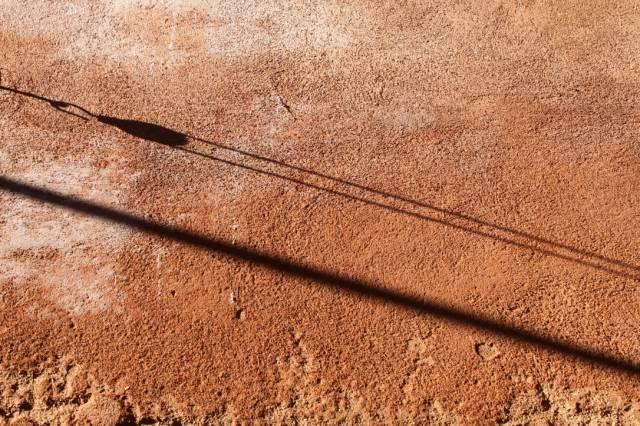 Instantly it becomes a game of engaging with illusion, movement and light. I am very please to announce that I have been selected to part of the Wales at Venice Biennale team in October 2011, participating in the Invigilator Plus programme. I will spend 7 weeks working at the Wales Pavilion, where Tim Davies will be represented and alongside will focus on my own research, pursuing new projects and developing working relationships with international artists and curators.